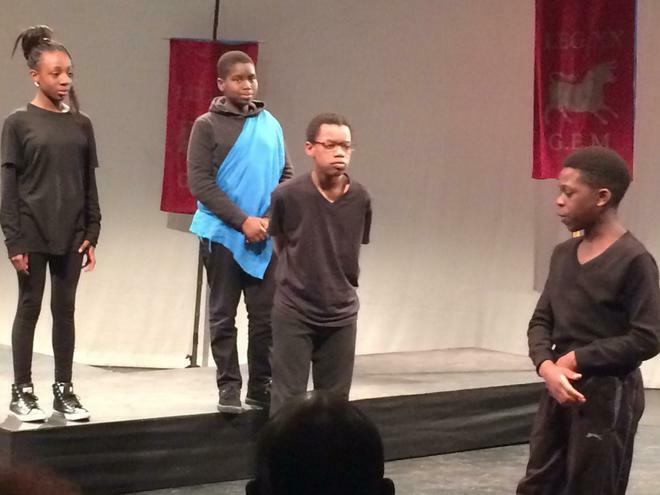 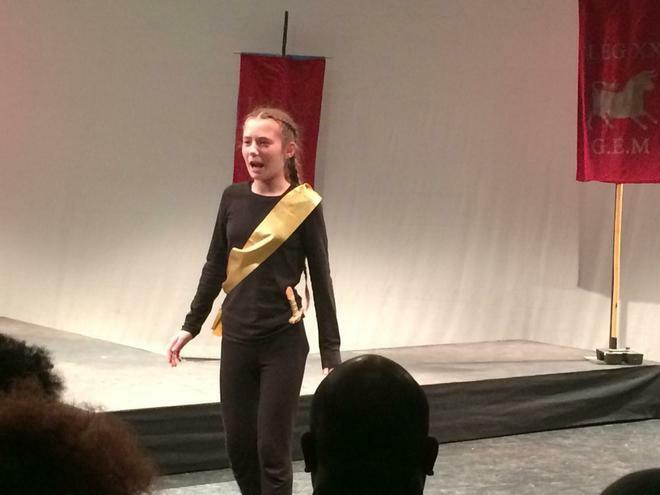 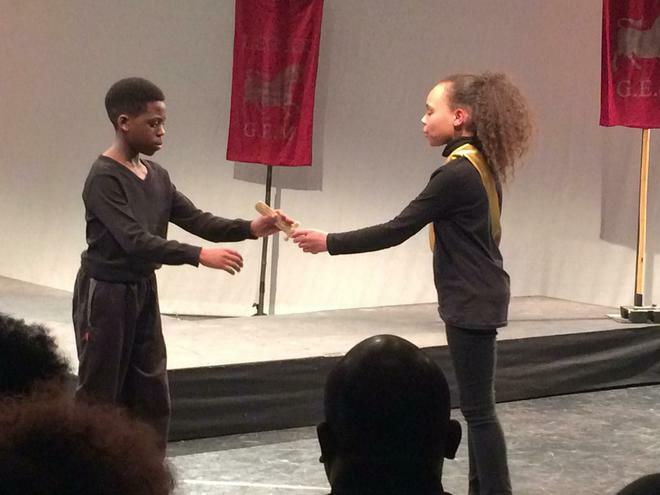 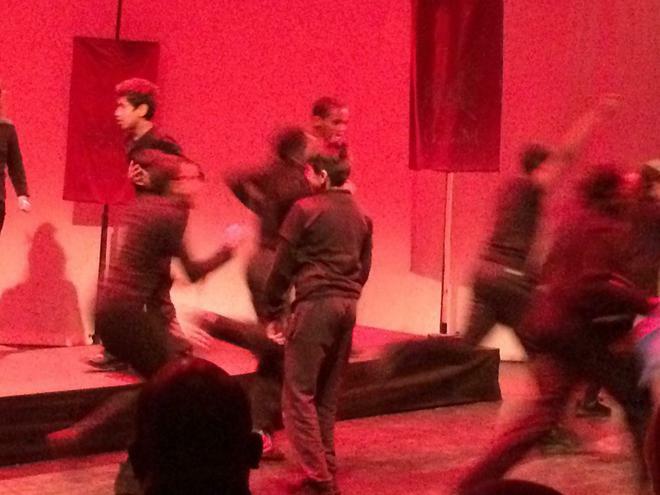 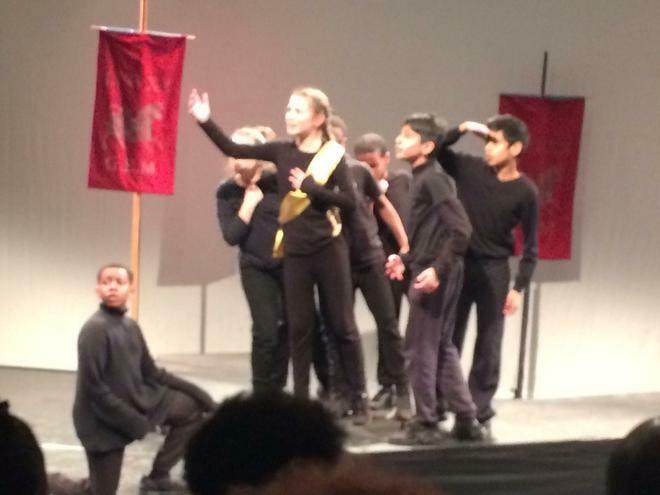 Year 6 perform Julius Caesar at the Barbican Theatre! 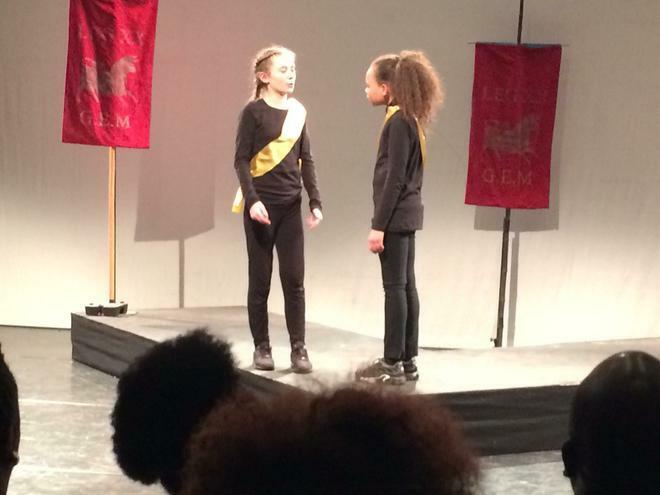 For the last two years, Gascoigne pupils have been taking part in an exciting cross-borough cluster group, the "Learning Performance Network" led by the Royal Shakespeare Company. 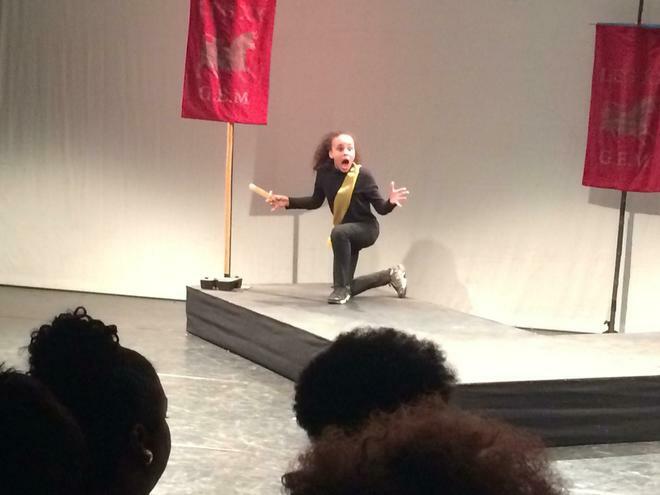 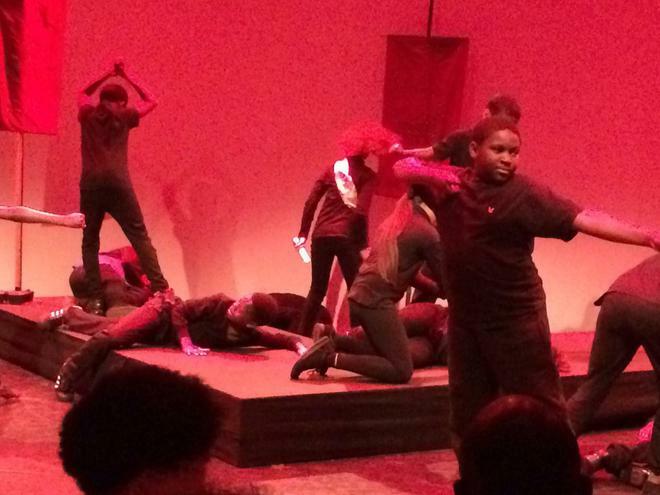 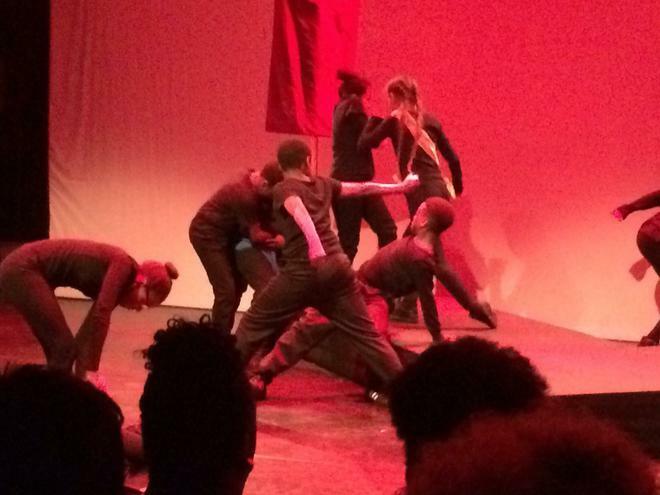 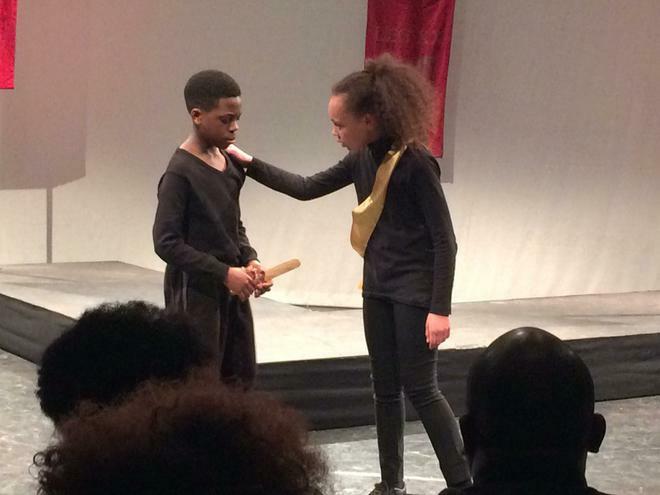 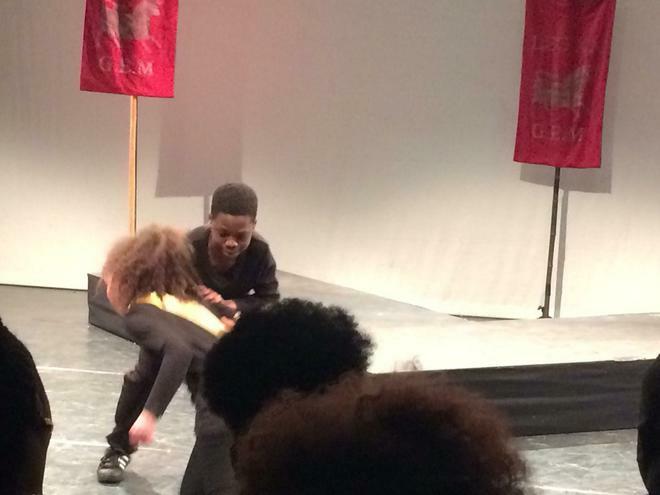 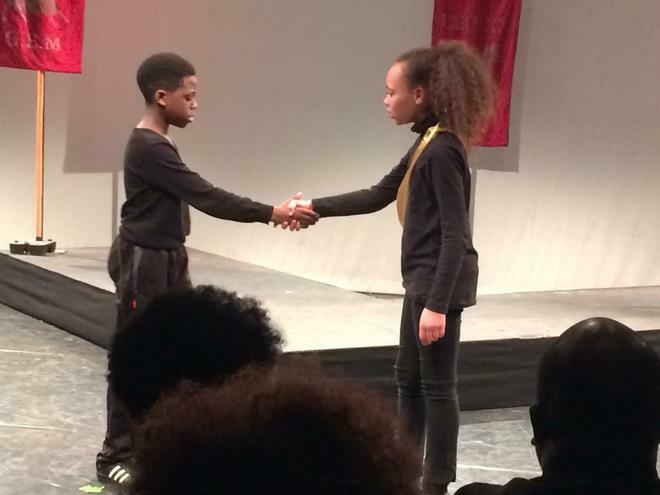 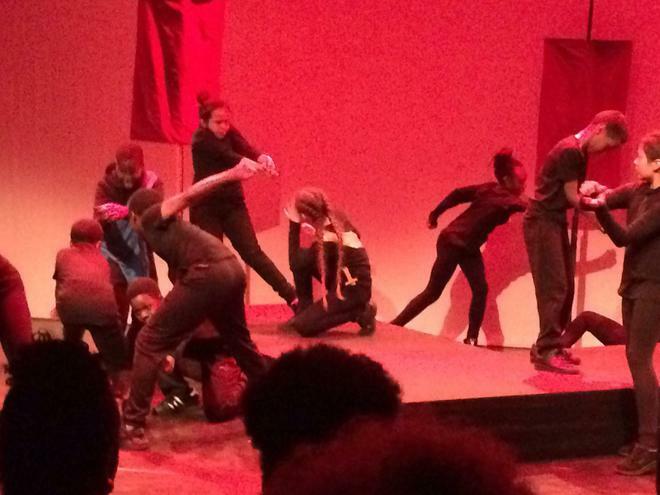 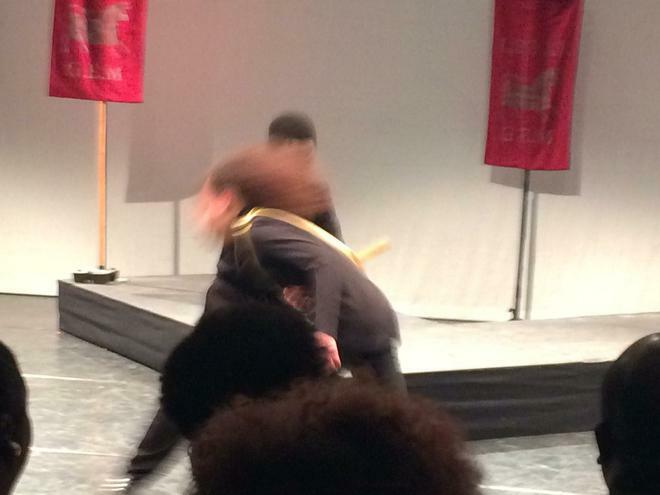 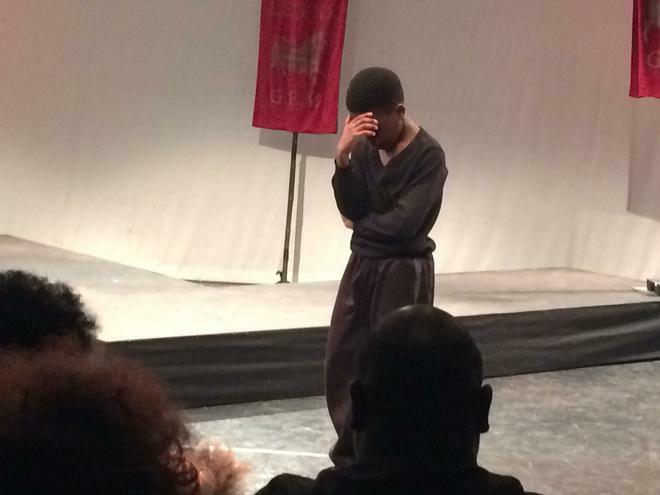 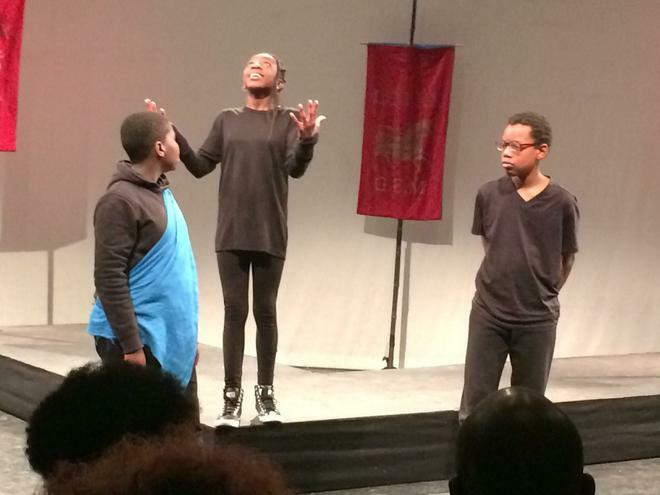 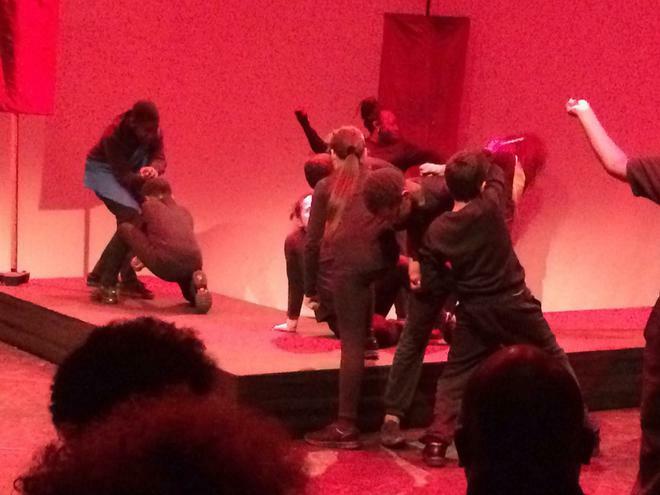 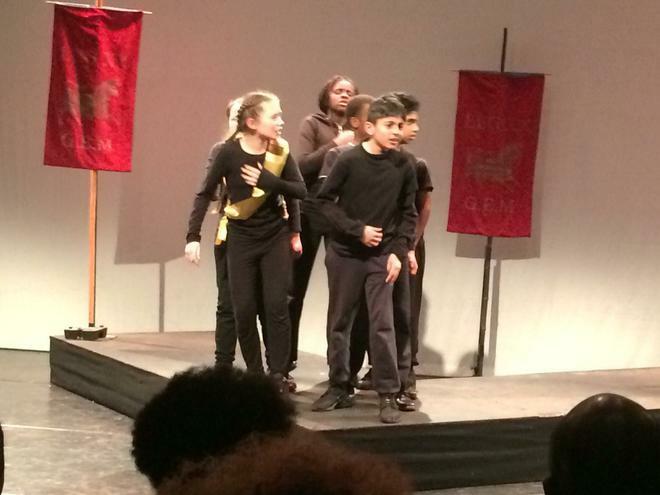 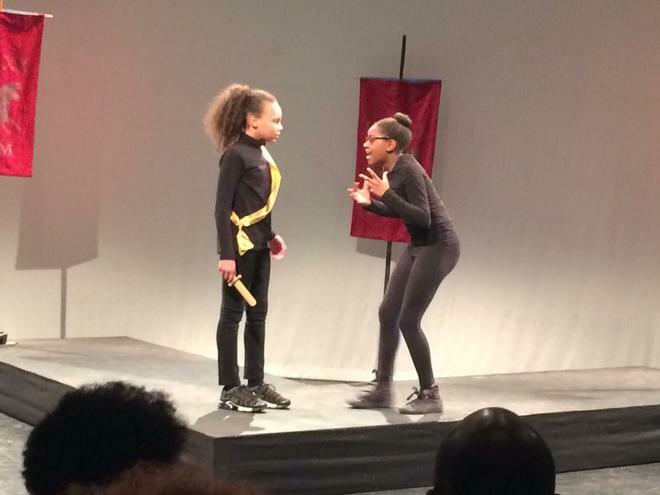 This year eight primary schools across Barking and Dagenham each rehearsed a scene from Julius Caesar, which culminated in a borough performance at the Barbican itself! 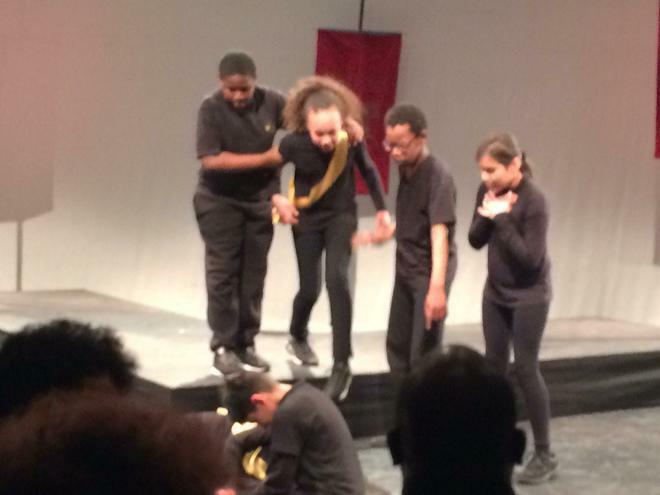 Our Year 6 pupils were rightly commended for their powerful and evocative portrayal of the final scene of this famous tragedy. 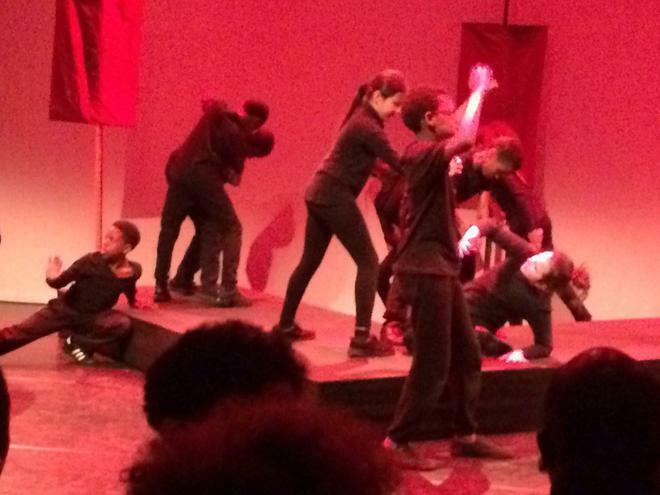 As you can see from the pictures below, the pupils displayed a real talent for performance. 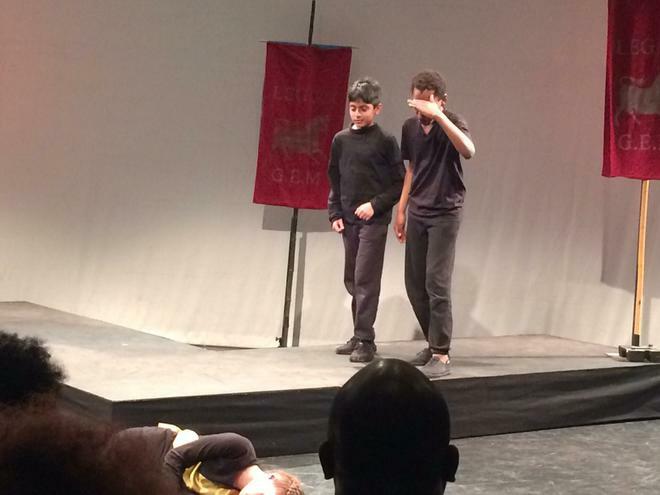 The next step will involve two pupils representing Barking and Dagenham at the prestigious Swan Theatre in Stratford Upon Avon - the birthplace of the great man himself!